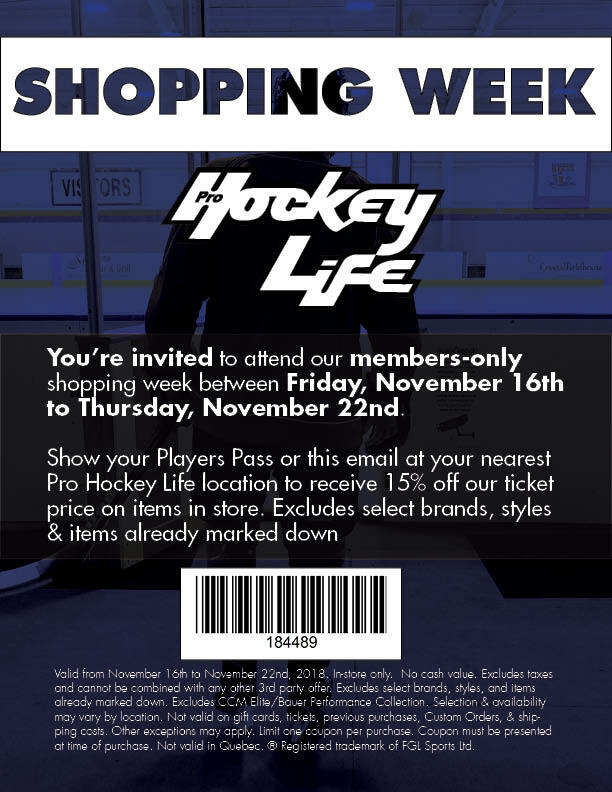 You’re invited to attend Pro Hockey Life’s members-only shopping week between Friday, November 16th to Thursday, November 22nd! 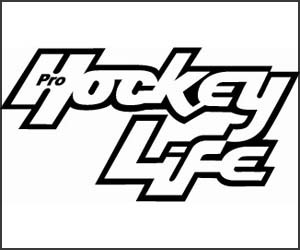 Visit your nearest Pro Hockey Life location to receive 15% off our ticket price on eligible items in store. 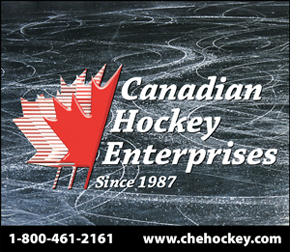 If you’re looking for the latest makes & models of sticks, skates, protective & goalie gear, new fanwear & memorabilia or gifts for the Holiday season, you’re in luck! All you need to do is show your Players Pass or this coupon at time of purchase during the shopping week to receive your discount.